Olympic definitives now available as Smilers - only on Smartphones so far? 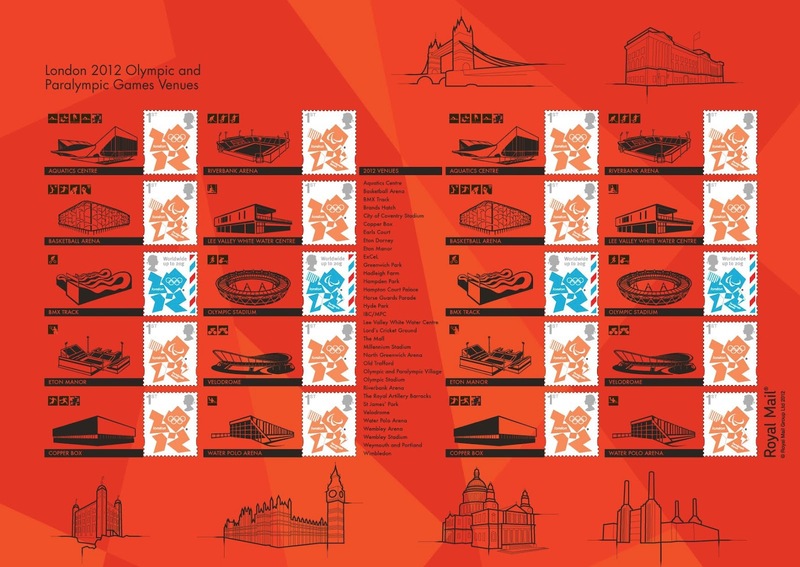 We mentioned as the Olympics started that there was a Smilers booth on site, but bemoaned the fact that these stamps - as shown on the Olympic Venues Generic Sheet - were not available to collectors or the general public outside the Games Venue at Stratford. Now, Graham Howard reports on Smilers-Info News (as a result of the eagle-eyes of one of his readers) that these stamps are now available to anybody, via the latest version of Royal Mail's Smartphone app which allows you to upload into a Personalised Smilers Sheet any photo taken on the phone or already stored there from other sources. Graham has sought clarification from Royal Mail about whether the new additions to the Smilers Personalised range will be made available through conventional Smilers purchase routes, enabling many more people to buy them. Watch this space, or Smilers-Info News on the link above. The 'olympic' smilers have been available in half-sheet format from the smilers booths at the party political conferences. I bought some from the Lib Dem conference. They were printed on a slightly different (smaller) printer than usual, i believe and they came with a receipt printed on photographic paper. The smiler folder had the 'Royal Mail/ Prostate Cancer support' logo/infomation on it , with the 'Message from Moya' narrative. The smilers app refered to is for use in shows/retail outlets where a' Air print' facility is available - so you can print and pay at the retail counter. Look out for one 'popping up 'in London soon ..